Do you wish you could read classic Spanish literature… in its original language? 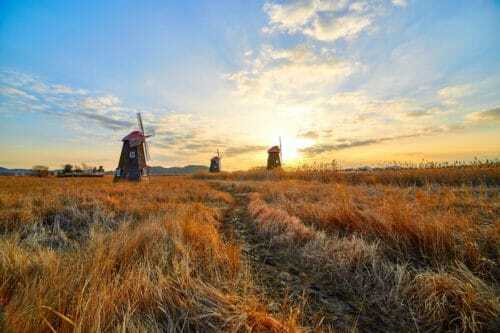 If you feel your Spanish reading skills are not quite ready to tackle windmill warriors yet, you can build them up with reading comprehension exercises. You might remember these from grade school: Read a passage and test your understanding of it. All those years later, this method is still highly effective! We have rounded up eight online resources where you can practice your reading comprehension. You will be reading about the dreamy Dulcinea in no time! When learning a new language, most people focus on learning how to speak the new language. In an age of technology where TVs are everywhere and Google Translate makes it so easy to translate whole chunks of text, the art of reading can get lost in the technological commotion. However, do not underestimate the power of reading. 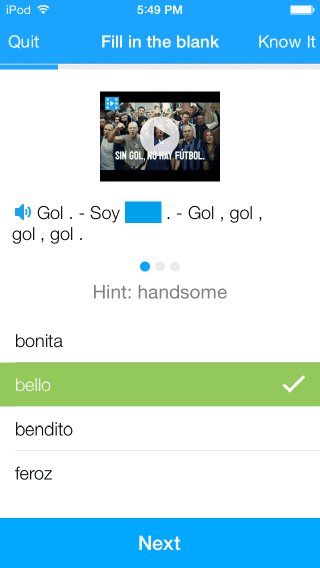 It is one of the easiest ways to expand your Spanish vocabulary, in general as well as on specific topics. Reading helps where textbooks and vocabulary lists typically fail: It helps build your repertoire of Spanish colloquial words and phrases. Reading is a practical way to familiarize yourself with Spanish sentence structure. Finally, reading is a gateway to exploring Spanish-speaking cultures. From literature to history to current events, there is always something new to unlock through reading. Not to mention, if you plan on visiting a Spanish-speaking country any time soon, being able to read at least basic Spanish will definitely come in handy. Try navigating an airport in Guatemala without being able to read Spanish. Trust me, it is not easy! Learning a new language can be a daunting task, especially when one of the first things you do is pick up a chunky Spanish novel. Do not bite off more than you can chew. If you are a beginner, start learning to read in Spanish with very small, bite-sized texts. Focus on understanding the text or sentence as a whole, rather than stopping for every word you do not know. Often, translating a text word-for-word leads to confusion and inaccuracy. It also makes it harder to understand the overall meaning. Build a vocabulary list as you read. Although you should not be stopping to translate every unfamiliar word, there might be some key words you need to understand. Make note of these and add them to your vocabulary list. Sometimes reading exercises will include key vocabulary lists of their own, but even then, you should be adding any words that you would like to remember for future use. Do the comprehension exercises! Many texts designed for Spanish learners also include exercises to test your comprehension. Do not skip these! They are designed to help you learn. If you answer most of the questions wrong, it means that you did not fully understand the text, in which case you should go back and try reading it again. It might be tedious, but the payoff is worth it! Turn reading into a multipurpose exercise. Read the text out loud to work on your pronunciation and fluency. 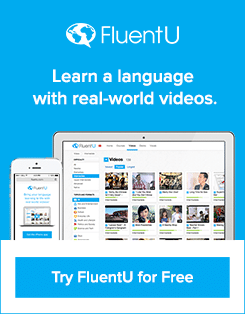 To get some really multi-sensory reading practice, practice with FluentU! Finally, none of this will mean anything if you do not practice. Try tackling a little bit every day to maximize your learning. Do not overwhelm yourself! Instead, set feasible goals for yourself, like completing one or two reading exercises a day. 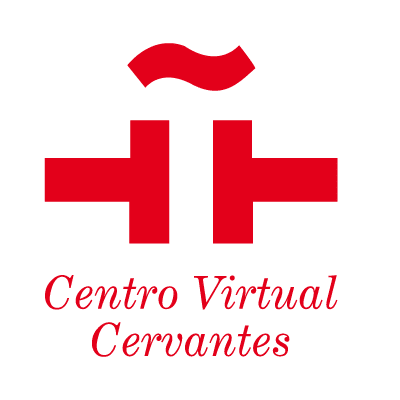 Here are some of the best websites for working on your Spanish reading comprehension! Lingua is a great resource for beginners. It has a vocabulary and a reading section, both of which are free to access. The texts are divided into three different levels, making it easy to work your way up the reading ladder little by little. These texts are very short, ranging from about 150 to 250 words each, so there is nothing to be afraid of! Each text comes with a few simple questions to test your understanding of what you read. 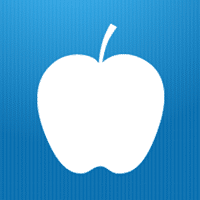 Texts are also downloadable as PDFs, so you can use them offline or print them out. 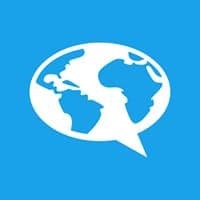 This is a free website which has almost 50 texts ranging in difficulty from beginner to advanced, so there is more than enough to keep you going. The largest number of texts are for beginners which are usefully subdivided into two levels. Each text includes an English translation to aid you in your reading as well as an audio recording. Use the audio to test your listening skills, and read along with the recording to improve your pronunciation. 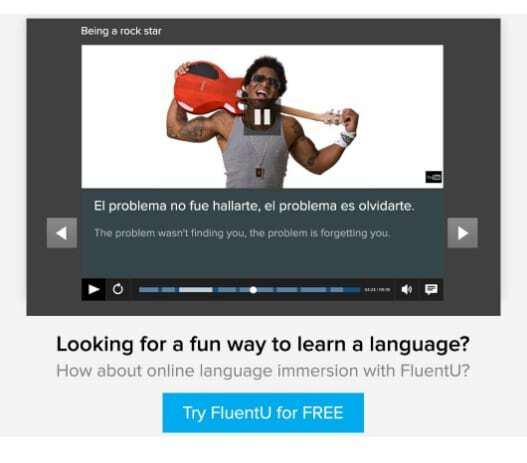 123 Teach Me is one of the best free online resources for learning Spanish. There is a whole section devoted to reading comprehension exercises divided into four different levels: novice, intermediate, advanced and superior. Each level is in turn subdivided into groups of quizzes so it is easy to gradually progress to more difficult texts. The “quizzes” are where you will find your reading comprehension exercises: Each quiz contains one or two readings and an exercise to test your understanding. Each quiz also includes a short vocabulary list to get you started collecting unknown words. Although there are fewer exercises here, this resource is great if you are planning to take a formal test at some point. They have one set of online sample tests ranging from level one to level six, as well as four sets of practice exams each spanning six levels. Both of these can be found under the “Exam Preparation” tab. Each test contains several texts followed by questions. Most of the texts are no more than one short paragraph and some include pictures or diagrams, too. You will also find a few listening comprehension exercises mixed in. 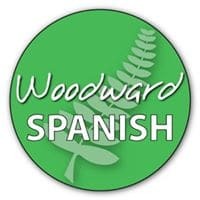 Woodward has created a list of 14 Spanish texts designed to help learners, covering a range of topics from airports to corruption and the internet. They might not be the most gripping texts but they will certainly help boost your reading abilities! The texts themselves are more suitable for intermediate learners rather than complete beginners. They are longer than many of the other reading exercises listed here so these are great practice before you sink your teeth into full-length articles. The vocabulary lists are also extensive and instead of translating the words and phrases directly into English, the vocabulary is explained in Spanish. This is another great resource for slightly more advanced learners and promises to keep you engrossed. These are not easy texts to follow and they may present a challenge for beginners. The articles discuss a range of current subjects from fashion to economics. There are hundreds of texts to choose from, so there is no shortage of reading material. Each article can be read in both English and Spanish in case you are struggling to grasp the more complicated topics. There are also audio recordings available for each text. Articles are accompanied by comprehension exercises in the form of multiple choice questions. 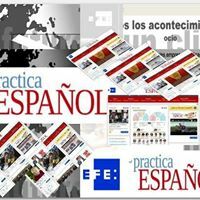 This site can be daunting to navigate: It is entirely in Spanish and was certainly not designed for beginners. Here you will find a variety of texts divided into three levels. The texts are rather long and include exercises to complete before and after reading. 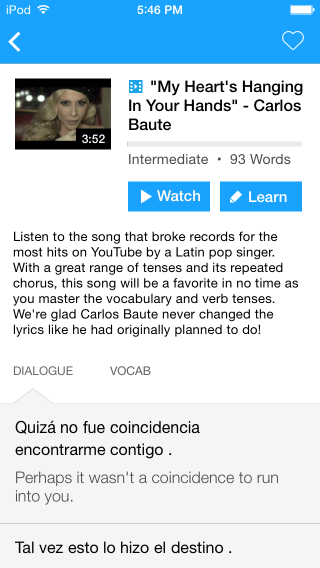 You can also click on various words to see descriptions of them in Spanish. Even the first level of texts might seem intimidating to a beginner, so we recommend starting from the more beginner-friendly resources on this list if you are new to Spanish. Readlang is one of the few websites that you actually need to sign up for, but rest assured you can access the texts for free. Once you are signed up, you will have access to a selection of materials spanning multiple levels. 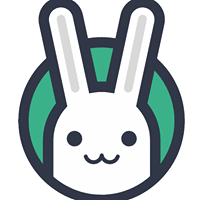 The benefit of signing up is that you can set up your own profile, which allows you to build your own library. You can easily create a whole list of texts that you want to read later and keep track of the ones that you enjoyed reading. 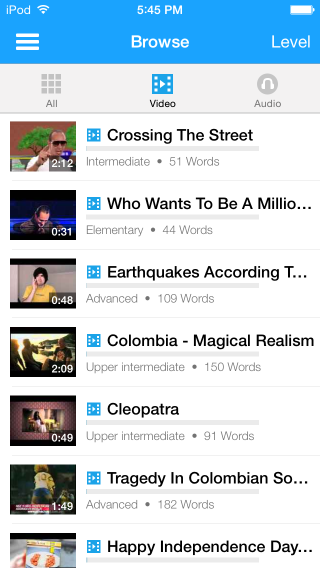 The unique aspect of this resource is the user-friendly system, which divides the texts by more than just level and can be filtered according to your preferences. 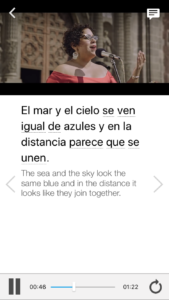 You can personalize your selections to read fiction, nonfiction or dialogue transcripts and you even have access to a range of Spanish song lyrics. To add to this, you can filter the results by difficulty ranging from A1 (beginner) to C2 (advanced) as well as by word count. Ready to tackle the history of Ancient Egypt? Readlang is your yellow brick road to greatness. Feeling confident? Learning to read in Spanish is all about taking baby steps. Think back to when you first learned how to read as a child. Unless you were a child prodigy, chances are you did not dive straight into Hemingway. Use these exercises as stepping stones to the big leagues. And when you are ready, try reading short stories or some simple news articles. If you think you are prepared for a full-length book, start with a children’s book. Personally, I would jump at any excuse to re-read “Harry Potter,” even in Spanish! Soon, you will find yourself zooming through Spanish texts like Harry during a particularly exciting game of Quidditch. Isn’t reading great?